I've been wanting to show this for a while, because I thought some of you could find it interesting. This is probably the earliest instance of me trying to create a character that carried some of my personal characteristic, or at least a cartoon representation of them. I never drew anything past those doodles, and there's also a gap in the amount of years it took me to give that idea a second try, so I don't have more references of that early concept, but you can still count it as the first time I sketched "Linker". I wouldn't say that this was precisely a callback, but rather that the simplification of those personal traits hasn't changed that much in my mind. Queria compartilos por año, pero la gente no le pone mucho interes a las compilaciones. didn't you had straight hair first? I only have two hairstyles IRL XD short or kinda afro when it grows. A friend told me that my character looked a bit average so I changed it, and I made a comic about it. Since it's based on my RL hair, the sketch is pretty similar even with the time gap. The sunglasses just made him look "cooler" to my younger self. I can't show the entire page, because it's a journal from when I was a kid, so it's kinda cringy if you can read spanish XDD but you have my word that the notebook is from 2002, It was part of a homework for literature class. I do still remember this pic. Even if it was from a time when i was very inactiv. Btw do you like princess peach? She's hot and cute, but she's in 3rd place for me ATM. 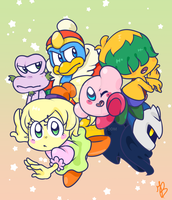 Between Daisy's tomboy and cheerful attitude and Rosalina's mysterious aura and magic, Peach doesn't stand out for me. Although in Mario Odyssey she had a lot of cute dresses and some artists know how to make her look real nice.